Home » AUD » Pound to Australian Dollar Exchange Rate Forecast: Will No-Deal Brexit Warnings Cause GBP/AUD Losses? Pound to Australian Dollar Exchange Rate Forecast: Will No-Deal Brexit Warnings Cause GBP/AUD Losses? The Pound (GBP) has made a minor loss against the Australian Dollar (AUD) today, following more comments about Brexit. 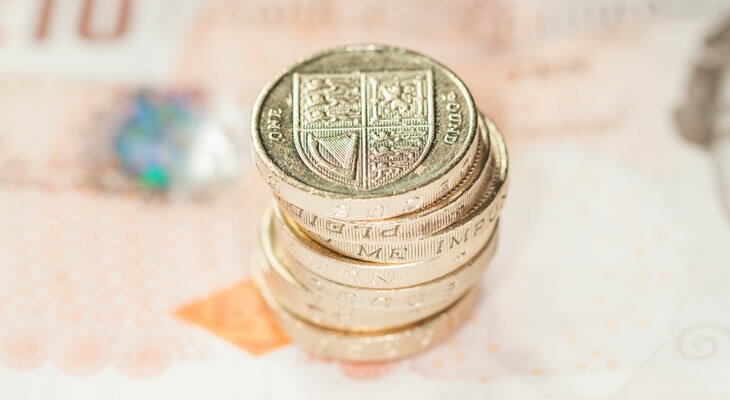 Despite efforts to reassure GBP traders about UK stability after a no-deal Brexit, Prime Minister Theresa May has partially contributed to today’s Pound losses. The PM has reiterated that she sees a no-deal Brexit as better than a bad Brexit deal, an outlook that has rattled Pound Sterling traders. The Pound (GBP) has traded in a narrow range against the Australian Dollar (AUD) today, failing to get off the starting blocks from a level of AU$1.7555. This limited movement is because of continued concerns about the effects of a no-deal Brexit on the UK economy, which are still not entirely clear. Last week saw Brexit Secretary Dominic Raab predict that the UK would remain stable even after leaving the EU without a Brexit deal, but not everyone is convinced. Even recent remarks from Prime Minister Theresa May have failed to boost demand for the Pound, despite the PM also taking an upbeat view on the UK after Brexit. This week is a relatively quiet one for UK economic news, but additional warnings about Brexit could still drain confidence among Pound Sterling traders. If experts or politicians label a no-deal Brexit as likely and potentially detrimental to future UK growth then the GBP/AUD exchange rate could worsen. Are Pound Sterling to Australian Dollar (GBP/AUD) Exchange Rate Gains ahead on UK PMI Growth? Looking to the coming week, the Pound to Australian Dollar (GBP/AUD) exchange rate could recover when UK PMIs for August are released. The UK’s manufacturing, construction and services PMIs will be out over the week ahead, coming on 3rd September, 4th September and 5th September respectively. Construction sector activity is expected to have slowed during August, but conversely higher manufacturing and services sector PMI readings have been forecast. The UK construction sector has failed to make consistent growth in recent years, but the manufacturing and services sectors have shown greater consistency. The services reading is the most important of the three, as the sector is the single largest contributor to UK economic growth. If the services sector grows by as forecast or above expectations then the GBP/AUD exchange rate could rise sharply. Will Drop in Australian Building Permits Lead to AUD/GBP Exchange Rate Losses? The first economic data that could affect the Australian Dollar to Pound (AUD/GBP) exchange rate this week will come on Thursday. Building permits figures for July will come out early in the morning and are expected to show a sharp drop in the quantity of granted permits. This reading previously grew by 6.4% during June, but July is tipped to show a -2.5% drop in permit approvals. Fewer permits being granted implies reduced Australian construction activity in the future, which can ultimately lead to a slower pace of economic expansion. Tying into this potential outcome, Australian construction output levels have been disappointing over the past 12 months. In essence, if the permits figure drops as expected then the Australian Dollar could make a similar decline against Pound Sterling this week. Previous ArticlePound Sterling to New Zealand Dollar Exchange Rate Forecast: Are GBP/NZD Losses ahead on Confidence Data?